Considering adding Pay-Per-View to your video package? Well, let’s first start off by talking about what Pay-Per-View actually means for you and your video package service. Pay-Per-View (PPV) actually means exactly what it sounds like. When you add PPV to a package, you have the ability to watch shows on a pay per view basis—meaning, you pay for each individual show that you watch on that specific PPV channel. Now, what’s unique about the PPV feature is that you don’t pay for the feature to be “flipped on” for your account. You only pay when you purchase a specific show. Yep, that’s right. You only pay when you purchase a specific show. Alrighty, so now that you know PPV is a pay-as-you-use feature, you’re probably wondering how you actually use PPV. Typically, PPV shows feature sporting events (boxing, mixed martial arts, etc.) or other live-event shows that a viewer wishes to watch in real time. Because these shows are live, the programs run on a fixed, predetermined schedule, uncontrolled by the video package provider (aka MTC TV). For MTC TV video, the PPV channel programming is available on channel 601. When you want to access a specific show, you can check the TV guide on the PPV channel, find out what time the show airs, and then purchase that specific show. When the show starts, simply turn to that channel, and you’ll have access to the show for however long the program is set to last. Once the show ends, your access to the content expires. PPV is a pay as you use feature, similar to On-Demand. On-Demand (also referred to as Video On Demand or VOD) allows the viewer to watch the selected movie or TV content whenever at his or her schedule’s convenience. With On-Demand, viewers can pause, play, fast-forward, rewind, and re-watch the show On-Demand as much as they would like. 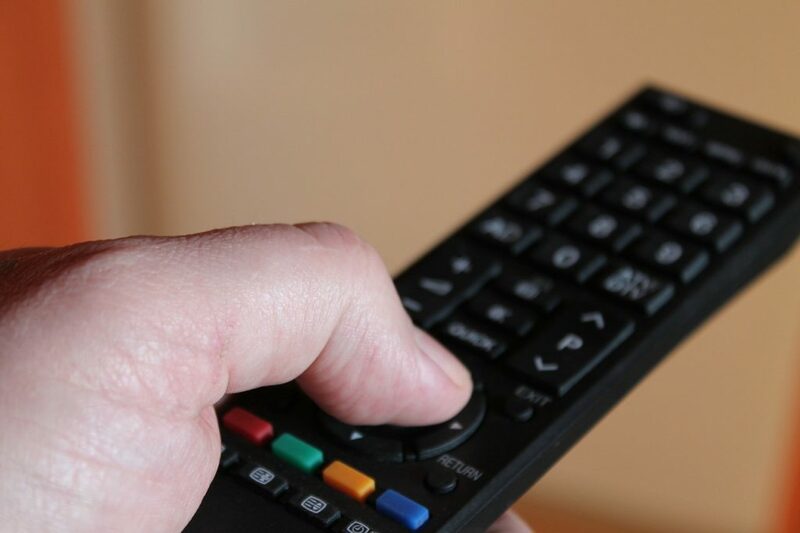 A TV service provider typically selects the shows available for On-Demand viewing, in addition to the dates that the shows are available to be viewed. Most TV service providers also restrict how long a show is available to a customer after the initial viewing, for example a 12-hour window after the conclusion of the show, which restricts viewers from watching content an unlimited amount of times. How do I buy a show or movie with On-Demand? Buying a show with On-Demand is as simple as going to the On-Demand screen, selecting the content that you’d like to watch, and then entering your specific pin number or verification number that alerts the video provider you’d like to purchase the item. Then, you can watch the show or movie for the allotted time that the video provider allows. Most important to know, On-Demand charges viewers on a month-to-month basis. On-Demand subscription channels offer hundreds of free shows and movies only available On-Demand, so viewers incur charges simply for subscribing to the feature. On-Demand becomes similar to over-the-top services like Netflix, Hulu, or Prime Video as it allows users to purchase additional movie or show content. The content available for purchase features recently released movies, new shows, or anything in between. MTC TV no longer offers On-Demand content as a service, but On-Demand can sometimes be purchased through other providers on a solitary basis. The main question customers frequently ask when told about add-on features like PPV vs. On-Demand is: What’s the difference? Well, Pay-Per-View and On-Demand are really two very different concepts, but they flow back to the same idea. Both Pay-Per-View and On-Demand allow viewers to watch special content that isn’t included with a regular video channel package. The content that the different features offer and the way that viewers pay for that content differ greatly. 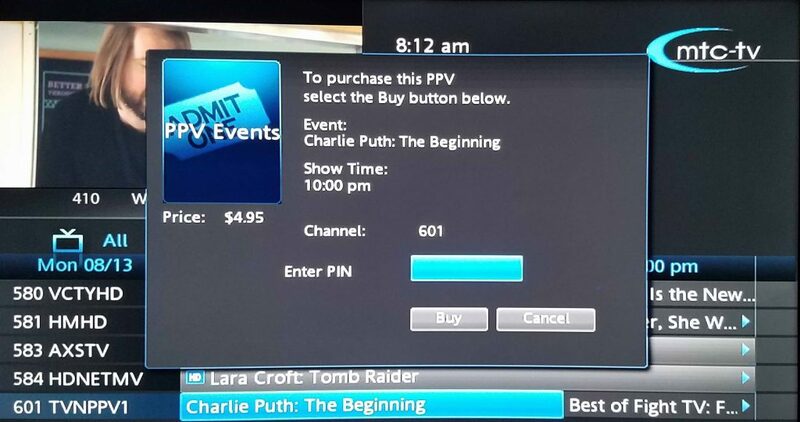 PPV only charges the viewer when the service is used VS. On-Demand, which charges the viewer monthly and charges for paid content that the viewer watches. If you think that PPV or On-Demand service might be something that you’re interested in purchasing as an add-on feature, consider what type of content you watch or would like to watch. For example, if you like sports like boxing, wrestling, MMA, etc., PPV could be the perfect fit for you. Still not quite sure about PPV? You can add it to your package for no cost to test it out or call our office at 309-776-3211 for more help.